Providing you the best range of hand pumps, afridev deep well hand pumps, force lift hand pump, deepwell hand pump, india mark iii deep well hand pumps and u2/u3 modified deep well hand pumps with effective & timely delivery. 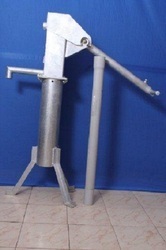 We are the leading manufacturer and exporter of Lift Hand Pumps. Enriched with rich industrial experience, we are engaged in manufacturing comprehensive range of Afridev Deep Well Hand Pumps that are known for its excellent strength and durability. Pump Type: Afridev deep hand well pump as per SKAT-HTN Switzerland specifications, with 50mm dia open top to 63 mm OD, UPVC brass lined cylinder assembly with extractable plunger and foot valves assemblies. 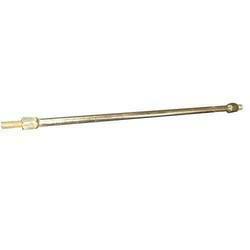 Recommended for water level setting depth (metres) : upto 45 Meter. Made of using Cup U-Seal, Seal, bobbins. 'O' Rings are of Nitrile Rubber. 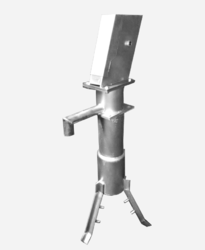 We are among the renowned manufacturers and suppliers of an extensive range of Force Lift Hand Pump System that is manually operated and is used for storing and distributing the water. 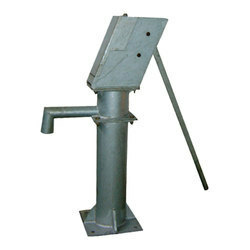 We are among the renowned manufacturers and suppliers of wide range of quality assured Deepwell Hand Pump that can easily lift the water from the shallow wells up to 7.5 Mts. 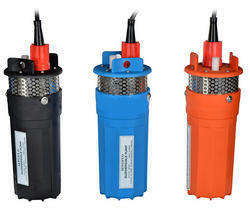 These pumps can easily be operated and is known for its excellent performance. Deepwell Hand Pump can be easily installed and is portable self-contained unit. Simple design for convenient installation, usage and transportation from one site to another. Suitable for irrigation of up to 0.5 hectares of land. Easy foot-operated suction pump, comfortable stepping motion with minimum effort. Fully Hot Dip Galvanized Steel Body, piston cups/seals of nitrile rubber, treadles and baseboard of good quality painted wood. High capacity pumping with 2 cylinders for continuous flow of water from ground level to depths upto 7 meters. Capable of pumping from 5000 litres of water per hour. We are among the prominent manufacturers of comprehensive range of India Mark III (VLOM 50) Deep Well Hand Pumps that are designed with utmost precision. With the assistance of skilled and adroit professionals, we are able to carve a niche in the global market. Our products are precisely engineered as per the leading international standards of quality. 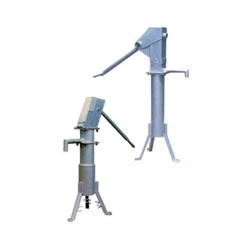 We are among the renowned manufacturers of wide range of U2/U3 Modified Deep Well Hand Pumps that are known for its excellent performance and high functionality. With the assistance of skilled and adroit professionals, we are able to carve niche in the global market. Our products are widely acclaimed among the clients for its qualitative attributes. Additionally, clients can avail the entire product range in feasible rates. Our manufacturing unit is well equipped with advanced and modern machinery and had pooled up experienced manpower that strictly follow international quality standards. Quality being our forte our entire products are quality tested at different levels of production process thereby ensuring its durability, reliability and long functional life. Our products are widely acclaimed among the clients for its excellent performance and reliability. Our firm had well developed and advanced quality testing unit which is supported by latest testing instruments, which assist us in offering quality tested products to the vast clientele across the nation. Our professionals keenly understand the specific needs and requirement of the clients and deliver the entire product range accordingly thereby ensuring maximum client satisfaction. 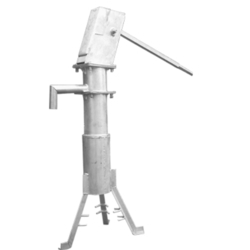 U2/U3 Modified Deep Well Hand Pumps are thermostatically balanced and have an excellent Mechanical strength. Our products are widely acclaimed among the clients for its excellent performance and durability. We have hired expert professionals who are well versed in their respective domain. Additionally, clients can avail the entire product range in feasible rates. UPVC Riser Pipe: 63 mm ODX 4.7wt * 3meters length. We are counted among the reckoned names in the industry engaged in manufacturing and exporting wide range of India Mark-II Deep Well Hand Pumps in the market. These are available in different grades and dimensions and cane customized as per the clients’ requirement and preference. With the assistance of skilled and adroit professionals, we are able to carve niche in the global market. Additionally clients can avail the entire product range in feasible rates. 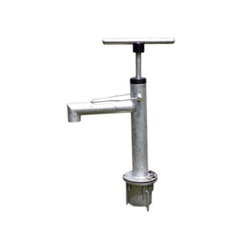 Pump Type: India Mark II Deep Well Hand pump / hand well pump as per Bureau of Indian Standard Specifications with 63.5 mm dia cast iron brass sleeved cylinder assembly. 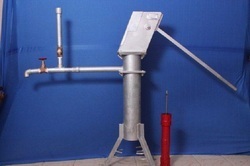 We are exporter of Extra Deep Well Hand Pumps. Pump Type: India Mark II Extra Deep Well Hand Pump as Specifications with 63.5mm dia cast iron brass sleeved cylinder assembly. Recommended for water level setting depth (metres): 45-90 Meters. We are among the renowned manufacturers and suppliers of wide range of VLOM India Mark III Hand Pumps that are known for its excellent performance and easy installation. Pump Type: India Mark III Deep Well pump as per Bureau of Indian Standard Specifications with 63.5mm dia cast iron brass sleeved open top cylinder assembly. 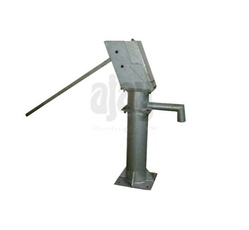 We are among the prominent manufacturers and exporter of wide range of Shallow Deep Hand Pumps that are designed with utmost accuracy. These are available in different grades and dimensions and can be customized as per the clients’ requirement and preference. With the assistance of skilled and adroit professionals, we are able to satisfy diverse requirements. Our entire product range is in compliance with international standards of quality. 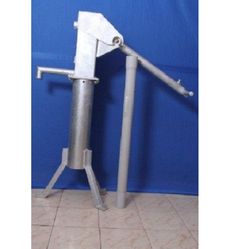 Robust designed these hand pumps are made using quality tested materials, which are sourced from reliable and authentic vendors of the industry. Our experts keep an eye on all the under-going processes. We offer our products after testing on industrial quality parameters, rendering maximum clients’ satisfaction. 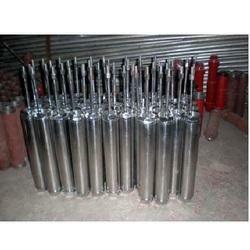 We are providing Groundwater Pumps for our customers in India and export. These products do not need any power supply to be functioned. The entire range of power systems offered by us is manufactured with beat quality material in compliance with the well-defined industrial quality standards. These solar products suit well with the utmost needs of clients and can be customized as per their specifications and requirements. Our solar power systems comprise MNES specifications. The broad range of these products includes DC fans, portable lights, lighting systems, portable lanterns, CFL lamps, and other appliances. The IH Series is newly designed single-stage, single suction and cantilever centrifugal pumps. efficiency is advanced about 5% and the steam corrosion quantity lowered about 2m. Keeping track with the advanced market development, we are manufacturing an optimum quality range of Direct Action Hand Pump. Used to pump groundwater in the village and semi-urban areas. We are among the prominent manufacturers of comprehensive range of India Mark III Hand Pumps that are designed with utmost precision. With the assistance of skilled and adroit professionals, we are able to carve a niche in the global market. Our products are precisely engineered as per the leading international standards of quality. We are the manufacturer and trader of Hand Pump Connecting Rod. We are the manufacturer and trader of Hand Pump Cylinder. 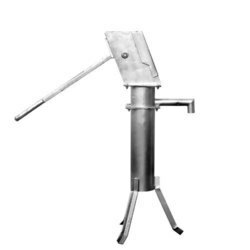 The offered cylinder is coated with protective anti-corrosive finish and suits as excellent utility in assembling hand pump for public as well as household usage. Apart from this, our patrons can purchase the offered Hand Pump Cylinder in standard as well as customized sizes at marginal prices from us. Enriched with rich industrial experience, we are engaged in manufacturing a comprehensive range of Deep Well Pumps that are known for its excellent strength and durability. Enriched with rich industrial experience, we are engaged in manufacturing a comprehensive range of Stainless Steel Deep Well Pumps that are known for its excellent strength and durability. We are engaged in manufacturing Hand Pump Parts that are fabricated from using quality materials and efficient machinery. We are engaged in manufacturing SS Hand Pump Parts that are fabricated from using quality materials and efficient machinery. 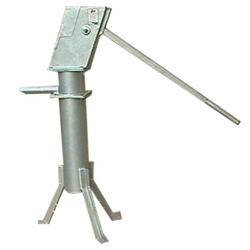 We are engaged in manufacturing Hand Pump Spare Parts that are fabricated from using quality materials and efficient machinery. We are among the renowned manufacturers and suppliers of an extensive range of Lift Hand Pump /Lift Pumps System that is manually operated and is used for storing and distributing the water. Afridev Well Hand Pumps have all the features of VLOM pumps and it is designed to overcome maintenance problems.